“24” could once again live another day. Sources confirmed to Variety that showrunner Howard Gordon and original series co-creators Joel Surnow and Bob Cochran are working on a new iteration of the series, with this one set to focus on a young Jack Bauer. The project is in the early phases of development with no word yet on when, if ever, it will make it to air. Should the project move forward, it would mark the third time Fox has looked to relaunch the franchise. 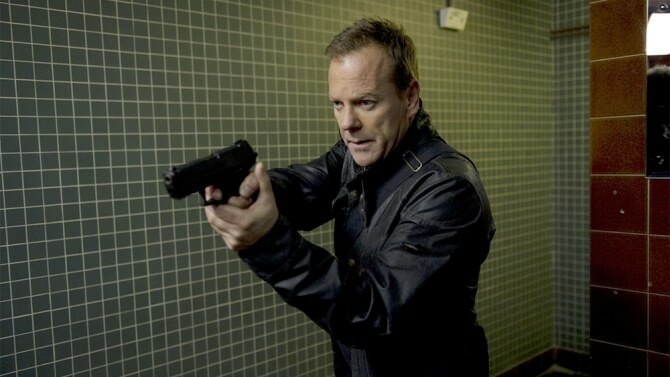 The original “24,” which starred Kiefer Sutherland as Bauer, ran for eight seasons on Fox from 2002-2010. Fox then brought the show back with the limited series “24: Live Another Day” in 2014. Most recently, Corey Hawkins starred in “24: Legacy,” playing an entirely new character named Eric Carter. The last 24 installment — the Corey Hawkins-led Legacy — launched after the Super Bowl in 2017. After launching with a massive ratings haul in TV’s most-coveted time slot, ratings cooled and the 12-episode season wrapped with 6.3 million total viewers and a 1.7 in the demo (with seven days of DVR). Fox canceled the series but said at the time that the network was talking with producers including Gordon and Imagine’s Brian Grazer for a new anthological take on the franchise. Two months after that, Fox and producers 20th Century Fox Television co-president Dana Walden said the network and studio were in early talks with producers including Surnow for what they dubbed a “really exciting idea” that was “very compelling.” The goal is to keep the show’s “ticking clock” and sense of urgency and real-time storytelling and to apply it to something else. “The next version of 24 probably will not be CTU, American Intelligence Agency. It will be some other venue using that same style but exploring it through a different mode,” former Fox exec David Madden said at the time. 24 remains a valuable franchise for Fox; it originally ran for eight seasons before being revived with original star Kiefer Sutherland for event series 24: Live Another Day. Legacy followed that series, but it was built around Hawkins (Straight Outta Compton, The Walking Dead) and told a new story. Sutherland did not return but was credited as an executive producer. For his part, Sutherland’s ABC drama Designated Survivor was canceled after two seasons and is near a deal for a third at Netflix. Sources told THR last year that Gordon flew back to the U.S. in April and early May in an effort to revive 24, with talks said to have included a pitch to save Legacy. A 24 prequel would certainly be a welcome title for “New Fox.” Following Disney deal, the broadcast network is focusing on broad-skewing procedurals and multicamera comedies. An ongoing 24 with a new Jack Bauer would give the network a recognizable franchise at a time when the network needs it the most.